Simple answer to that one is that you will not find either V4 or V5 for free. THey are both DAZ 3D products, and can only be bought from the DAZ 3D strore. And never let anyone tell you any different. DAZ still allows c|net to carry the gen three figures. There is lots of stuff for them. Not quite true...V5 was available, a couple of months back, on the DVD included with 3DArtist magazine...issue #43, I think, so if you can find a print back issue with the disk, you can get if for free. Keep an eye out on the various mags...Digital Arts, 3D Artist and 3D World, because every so often things do show up on the disks. That's correct [although at about $20 per mag, not exactly free lol ...] What I wanted to mention though is that people might still find references to free models such as V4 because "once upon a time" they were free. While that offer has since been closed, sales abound throughout the year. http://www.sharecg.com/v/43471/View/11/Poser/JL-Koz-Wave-Hair---Geometry-correction-+-15-shadesIs there a V4 fit for the Koz Long hair? I looked for one but couldn't find it. Too bad someone can't make full on Genesis fits for these hair figures. Is there a V4 fit for the Koz Long hair? I looked for one but couldn't find it. Too bad someone can't make full on Genesis fits for these hair figures. Actually, they are pretty easy to convert to Genesis. If you don't have the Gen3 shapes, then using a Gen4 fit before converting by the instructions in this thread, works very well. I do a lot of that already. But it really doesn't work if you don't have the V4 fit to begin with. I have a question. I am installing the outfit as pictured in the image below but the boots do not have a dsf file in the People/Genesis/Clothing/J_Shirt directory. There are files for the boots in the data directory. Anybody have any ideas how to create, obtain this file? The readme does not have the creator's contact information and it says there will be no support. Got any ideas? Genesis_Boots_Top_Pants.zip and the readme has no details. I downloaded the file on Dec 26 2011. Anybody else have more information? I'm looking for spaceship interiors/cockpits. NOT one's based on copyrighted stuff (Star Wars, Star Trek etc) please. Yaaay, you are wonderful, thank you so much! 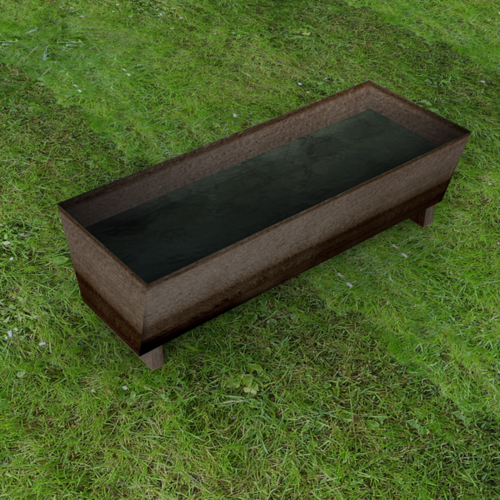 You can remove the stand and drain and use it as a water trough. I retextured the turbosquid one and it looks like it'll work- I can use the sink, too, for a different render. Thanks again! Turbosquid trough after a little love- cleans up pretty well! Nice! Amazing what a little TLC will do. Works well, thanks, I shall certainly be using this. Are there any big spaceship interiors as well out there, rather than small craft?